Recorded Live at Ritz Theater, New York, USA - December 16, 1988. 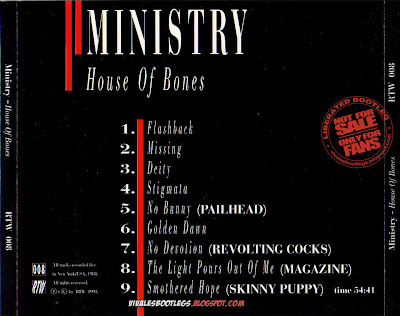 Files: 9. :: Size: 125.24 MB (Mp3) / 332 MB (Flac). 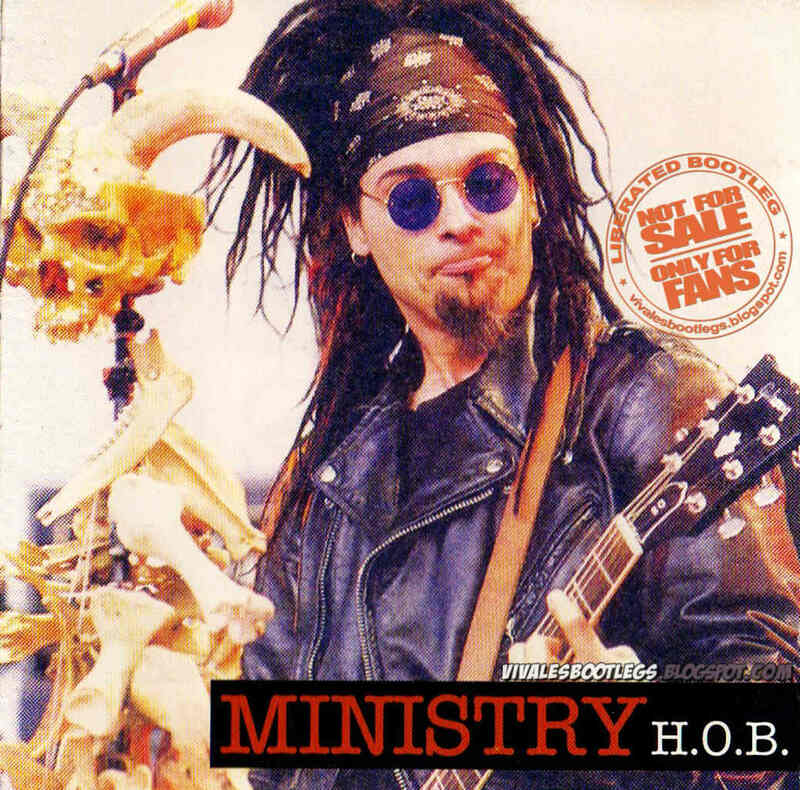 Personnel: Al Jourgensen - Vocals, Keyboards :: Paul Barker - Bass, Keyboards :: Bill Rieflin - Guitar, Keyboards :: Jeff Ward - Drums [R.I.P.] :: Chris Connelly - Keyboards ??? :: Nivek Ogre - Guitar, Vocals ???. Notes: SDB or FM source as there is not much audience noise. 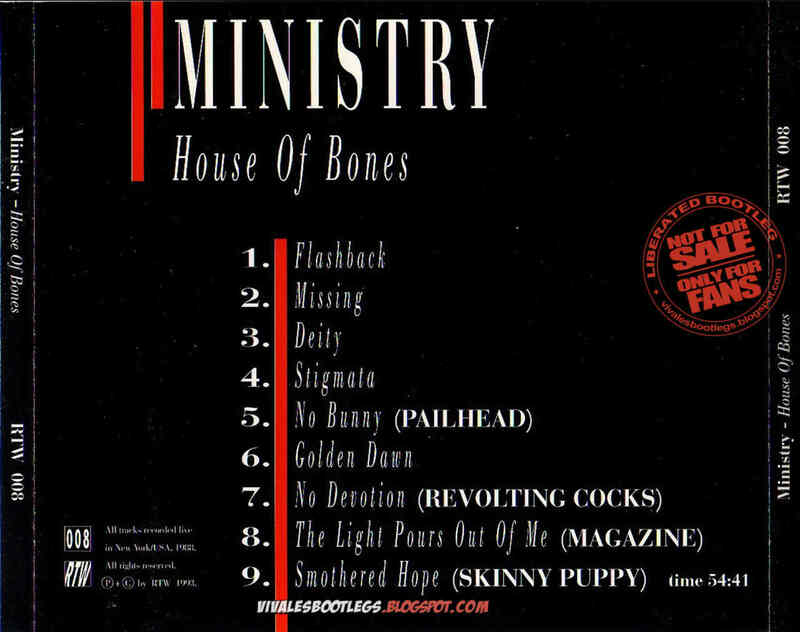 From silver boot "House of Bones". The show is not complete, the first 4 tracks are missing.<-(Info taken from original info file).